In this bread making guide, you are going to learn everything you need to know to make bread, ingredients, their functions, how to select proper ingredients and the right measurement to make your bread the best quality. You will learn everything about the methods and procedures involved in bread making. In this guide you will learn different bread making recipes, the things you should do for your bread to be different from any other bread around your community. You will learn the details of baker's percentage, function, and role of different ingredients in bread making and how to score your final product for quality assessment. You will learn how to create variations, different types of bread fillings into your bread, using one dough to create different kinds of bread, etc., This step by step guide will open your eyes to basic food costing troubleshooting in case you run into challenges with your final product. In this guide, you will learn about different types of flour and which one is suitable for bread making and what makes it suitable. With this knowledge you should be able to select flour that will give you the best desired quality bread, you can even formulate to flour to meet the necessary requirements for good bread. You will learn different types of yeast. Some people don't even know that yeast comes in different varieties and not all varieties are suitable for bread making. In this guide, you will learn how to identify the one that is suitable for bread making. You will learn when to use milk or fat in your bread and the right quantity to use to achieve the best quality. caring for the bread after it is baked. Knowledge of how to carry out these processes is of the utmost importance, for much of the success achieved in bread making depends on the proper handling of the ingredients. Of course, skill in manipulation is acquired only by constant practice, so that the more opportunity you have to apply your knowledge of the processes, the more proficient will you become in this art. Each one of the processes mentioned is here discussed in the order in which it comes in the actual work of bread making in the ebook, and while the proper consideration should be given to every one of them, it will be well, before entering into them, to observe the qualities that characterize good wheat bread, hence we took a step further to explain in details the quality you should look out for when purchasing bread making flour. You will learn both the long and short processes of making bread, the preliminary treatment of ingredients in order to achieve the best result. How to care for the rising dough and why we allow rising to take place before baking, the right temperature for rising, and the time required for rising to occur. You will learn how to knead the dough, the purpose of kneading, the right kneading motion and how to shape the dough into loaves. You will learn how to make bread without bread baking pan, if you don't want to spend money on buying a pan, you can actually make bread without bread baking pan. You will learn how to freeze the dough in case you don't want to use it immediately, or if the dough is more than you can bake at a time. And when baking, the oven temperature must be of the required one, here you will learn the right temperature to bake different types of bread to achieve the best result. You will learn the required time for baking, based on the recipes used and how to care for the bread while baking and even after baking. We didn't end it there, we went further to give tips on selecting the right bakeware such as bread mixer, bread making machine, how a bread making machine works, how to care for it, and even how to slice homemade bread. You learn a lot of bread making tips, several tips, and troubleshooting guides to ensure you achieve the best result in your production. While the preceding recipes call for bread in the form of loaves, it should be understood that bread may be made up in other forms, such as rolls, buns, and biscuits. We went further to discuss different recipes for making Rolls, Buns, and Biscuits. These forms of bread may be made from any of the bread recipes by adding the necessary ingredients. 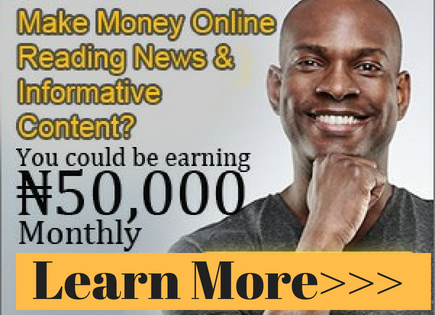 You will learn the right ingredients to add to achieve the desired result. Rolls, buns, and biscuits may be made in various shapes and sizes. You will learn how to shape them and what is used in shaping them. After they are shaped, they should be allowed to rise until they double in bulk. To give them a glazed appearance, the surface of each may be brushed before baking. You will learn what to use in this process. We didn't end it there, rather we went further to describe the process of making the best quality toast. Of course, making toast is not a difficult process, but a certain amount of care must be exercised if good results are desired. You will learn the precautions you need to take. You will also learn about leavening agents, the different types and how to use them in the right proportions. 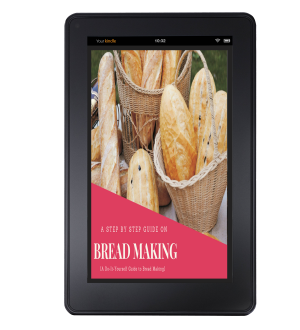 You will learn everything you need to know about bread making in this ebook. It's all about bread and rolls making. Get yours today. How Much is the Bread Making Ebook? 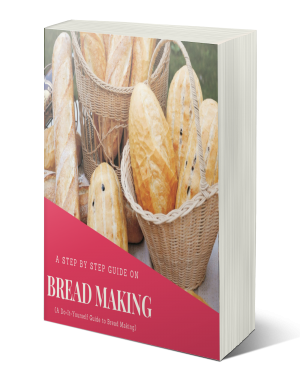 You can get this step by step bread making ebook for a token of NGN2,500. This is a paltry sum, the information contained in this book is far worth more than the price stated here. Get yours today. After payment, send an SMS with your details (name, date of payment, email, the amount paid and the item paid for) to 08187664783. Once your payment is confirmed, the download link will be sent to the email address you provided. 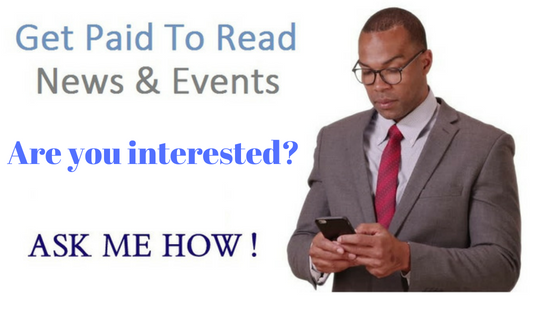 To get instant access to download the ebook, use your ATM card to make payment with the payment button below.